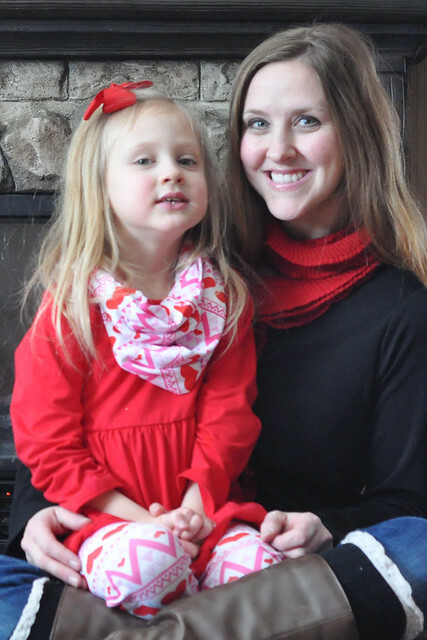 I kicked off this Valentine's Day weekend with a Sweetheart Tea with my little sweetheart! Lily is attending the same preschool that Dylan and Lexie attended. 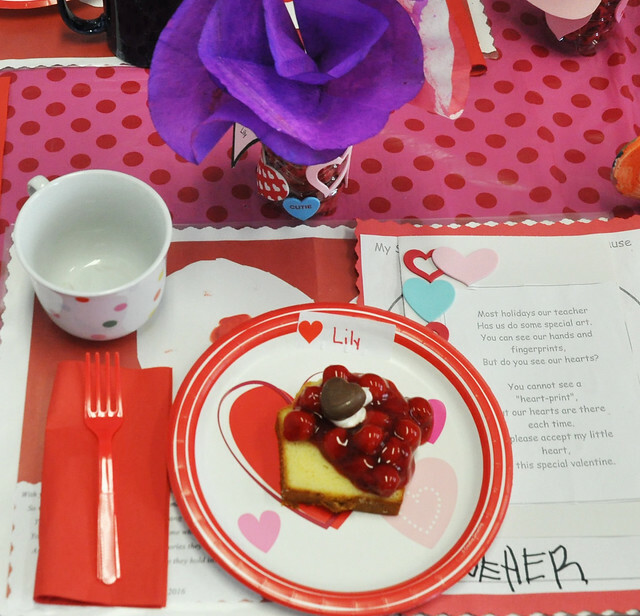 Instead of a Valentine's Day party, the students host a Sweetheart Tea. 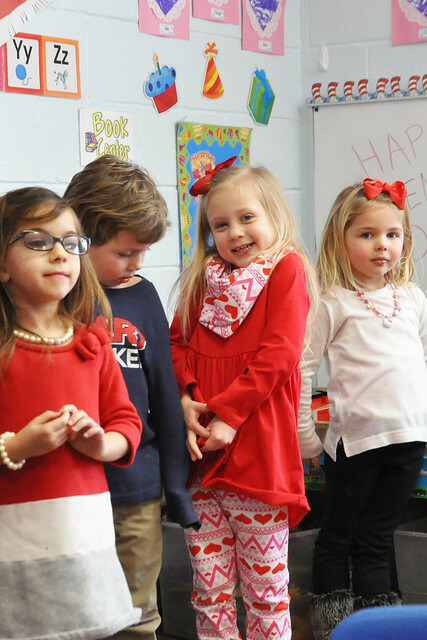 Each student is able to invite one loved one to the Sweetheart Tea. I was the lucky recipient of the invitation! This morning, I arrived at Lily's school with my favorite tea cup. Lily escorted me into the dismissal room to have our picture taken together, then escorted me to the classroom where I was surprised by a table filled with extra special homemade gifts! We said a prayer, then ate our delicious goodies. After we ate, Lily's class sang us a few songs. It was my third time attending the Sweetheart Tea but it was every bit as special as the first and second time! I love spending time with my little lovebug! 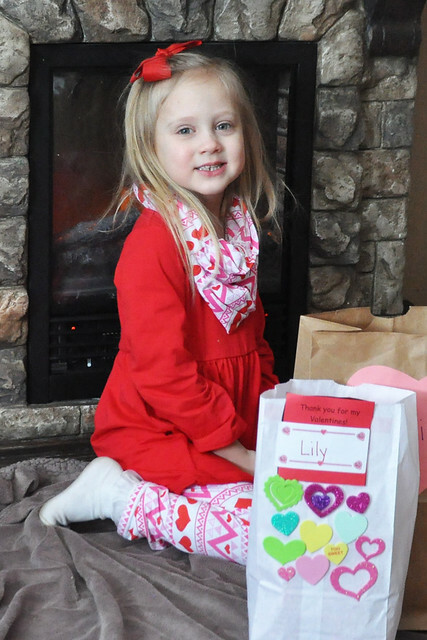 As soon as we got home, Lily eagerly opened up all her valentines from her classmates. It was an exciting day! I'm now the proud owner of some really special keepsakes! It was a great start to my Valentine's Day weekend! Happy Valentine's Day, friends! How sweet! Those preschool parties were always so cute. So sweet! 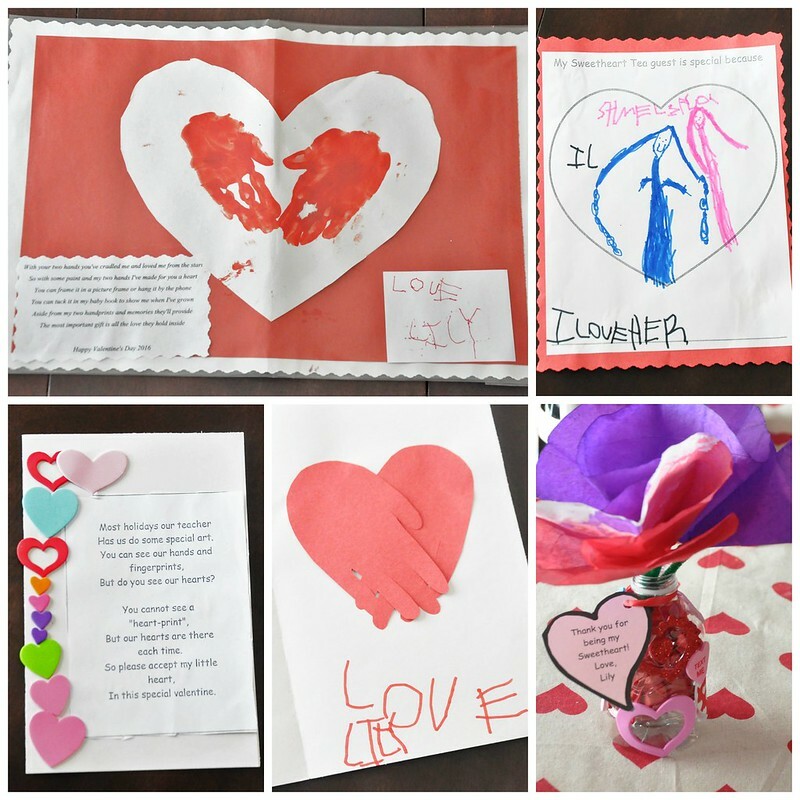 I attended my son's preschool Valentine's party last week too and it was so much fun. They are so cute when we visit their school aren't they? My son likes to give me a mini tour of his classroom each time. They always get so excited to have you there. I love it! What a fun little party and that Valentines outfit! SO adorable. She is just the cutest! Thank you so much! I couldn't pass up that outfit! How fun! 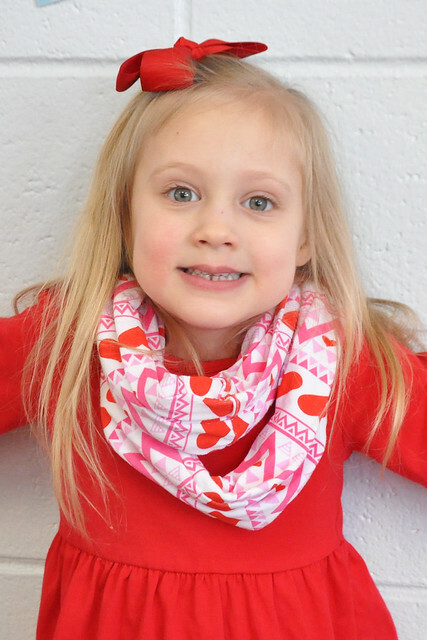 Love her scarf too! I love this idea! What a special time for you two!! Thank you so much, Laura! It was nice to spend time with her!